A nurse has been suspended after a catalogue of failings for a patient under her care living out the last days of his life - including leaving him in bed overnight covered in his own dried urine and vomit. Deborah Tracey Crane had been in the charge of the man at the Royal Cornwall Hospital, where he had been transferred for 'end of life care' and needed frequent help, such as with his basic daily bodily functions. The unnamed man was supposed to be seen every two to four hours throughout the night, a misconduct panel hearing by the Nursing and Midwifery Council (NMC) heard, Cornwall Livereported. But just days after Christmas, on December 29, 2015, his care was reportedly withheld – leading to "significant deterioration" in his health and wellbeing. As well as being left in soiled clothes and bedsheets, the man who has not been named wasn’t offered pain relief and developed pressure sores. The NMC panel - which has suspended her for nine months - heard that Ms Crane, the nurse in charge of his care on that night, withheld care, instructed health care assistants not to attend to him during the night and not to perform regular turns of the patient. The following day, December 30, Ms Crane made a “dishonest” retrospective entry into his care records, claiming she had attempted to perform pressure care on the patient. At 7.45am on December 30, the man, who was due to be moved later that day to Liskeard Community Hospital to be closer to his family, was found to have suffered “significant deterioration”. 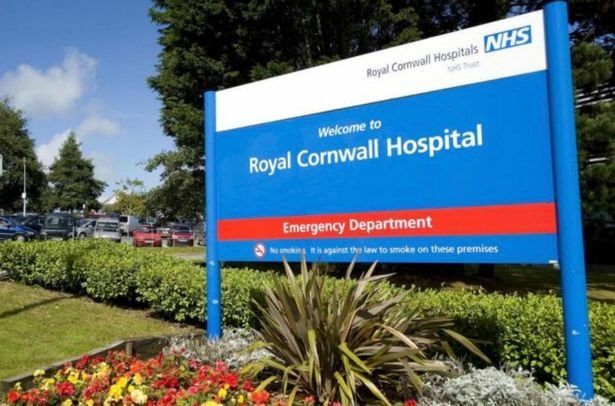 An internal investigation was conducted by the Royal Cornwall Hospital and in December 2017, the NMC held a misconduct hearing into the Ms Crane's actions. Its findings, which have now been publicly released, concluded that Ms Crane’s actions directly impacted the decline of the patient. The hearing questioned her and other staff members at the hospital over a number of charges that Ms Crane was facing. The first was that she instructed two health care assistants on the ward not to attend to the patient during the course of the nightshift. Ms Crane denied the claims and said that not only had she not given such instructions but that she had attempted to administer care, including attempts to turn the patient at 2am and 4am. But the hearing panel said that it was “unlikely for [the health care assistants] to fabricate such an instruction”. The nurse was also charged with instructing her other staff not to turn the patient, despite them asking for her permission on one or more occasions. One of the colleagues on duty, a health care assistant, claimed that Ms Crane had refused their requests to give care to the patient and “became irritated by their requests”. The nurse faced further charges including not visiting the patient on care rounds, not making sure he was turned regularly and not regularly assessing his pain levels. The panel found that her actions caused the patient to be found having soiled himself and developing pressure sores. She was also charged with dishonestly making an entry into care records to say that she had attempted to perform pressure care. The panel found that all of the above charges were “proved” and suspended the nurse for nine months. As well as stating that Ms Crane’s actions were “all significantly short of standards expected by registered nurses” the panel agreed that her actions had breached numerous points in the NMC Code. Treating people fairly and without discrimination, bullying or harassment. The hearing found that the nurse's actions put the patient at “unwarranted risk of harm”. The report concluded: “The panel considered that, in respect of your clinical failings, namely your documentation, record keeping, guidance to colleagues and patient care, you placed ‘Patient A’ at unwarranted risk of harm. "This contributed to ‘Patient A’ developing pressure sores, and his poor physical state in the morning. “The panel determined that you failed in your responsibility as the registered nurse on shift responsible for ‘Patient A’ by directing two HCAs (health care assistants) to withhold care from ‘Patient A’. “Furthermore, the panel considered that you attempted to conceal ‘Patient A’s’ lack of care and misled other colleagues into believing that adequate care had been provided.